There are more women than ever running companies, running for office, running circles around stereotypes but there are still so few relative to men that it remains news. That’s why Lorraine Wagner is sitting at the end of a long boardroom table inside Stihl answering questions about how to encourage more women to join the ranks within manufacturing. And why, even now, people are still interested in knowing more about women who have climbed higher in fields typically dominated by men. “It shows that we, not necessarily as a country, I think globally, do have, still, a long way to go,” she said. At the same time, women are seeing it can be done, evidenced by an uptick in the number of women earning degrees in disciplines they may not have normally pursued before, she said. 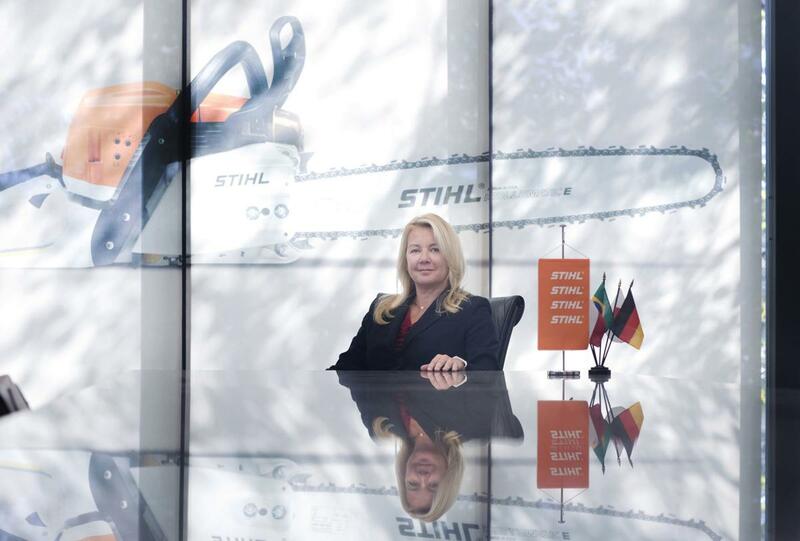 After 10 years as Stihl’s director of manufacturing, Wagner, who earned an undergraduate degree in mechanical engineering and a master’s in business in England, was recently promoted to vice president of operations. It’s the highest role filled by a woman for the outdoor power equipment company’s U.S. business headquarters in Virginia Beach. She reports directly to the president of Stihl USA and is one of five people, including the president, on the company’s executive council. And for now, that’s particularly noteworthy. There’s no knowing how many women inhabit the executive offices in manufacturing companies, but overall, they account for 29 percent of the industry’s workforce. It mimics the numbers inside Stihl, where 29 percent of its employees both in the U.S. and globally are women. “We have a lot of work to do as an industry,” said Carolyn Lee, executive director of The Manufacturing Institute. One motivation: There are 506,000 open manufacturing jobs as of the last preliminary count by the Bureau of Labor Statistics, the most since at least 2008. Comparatively, there were 391,000 a year ago. With so many openings, one of Lee’s missions has been to motivate manufacturers to look at the other half of the population: women. “We have more jobs than we have people. And it’s a crisis,” she said. Among Wagner’s long-term goals is keeping Stihl jobs in the United States, whether openings are filled by skilled women or men. “That’s always been something that I’ve strived to do: ensuring that we’re competitive by having the automation, so we can keep the jobs here, we can have the highly skilled workforce, we can bring the products to the United States and we can help ensure penetration grows by having such a good presence in the U.S.,” Wagner said. But convincing girls and women to join the ranks requires dismissing long-held perceptions of the industry, Lee said, “that it’s your grandparents’ manufacturing. That its dirty, dark and dangerous.” Or that it’s boring, monotonous assembly line work. With technological advancements, robots have taken most of the mindless tasks.